TVR made a wide range of real drivers car – shunning much of the accepted gadgets like power steering and Aircon. Read our TVR car tuning tips and advice and join our TVR owners club. We have a wide range of tuning articles covering all models of TVR from the classic Tasmin to the modern Tuscan and speed 6. Sadly TVR are no more and it is probably for this reason that TVR are looking to modifications and car tuning to upgrade their cars. Following our tuning tips you will avoid many of the common mistakes and actually achieve the car setup you desire without spoiling that essential TVR ingredient. Please join the forum for model specific questions and answers and to meet other owners and see what modifications they have done. TorqueCars started providing TVR performance part tips, car track day setup and car engine tuning advice and reviews back in 2003 and have grown from strength to strength with a fast growing membership of all types of cars including many, TVR owners. We are currently one of the fastest growing car tuning clubs around and certainly one of the friendliest. In 2007 we also organised our first full car show. Our TVR comprehensive modification articles on tuning and styling are kept upto date so for the very latest TVR performance part,track day setup and engine tuning advice, tips and pointers please check back regularly. We strongly recommend that you join our TVR forums and swap performance part ideas with like minded TVR owners in the performance part forums. If you have a TVR project underway we would love to hear about it, the Gallery section in the forum contains some interesting projects. 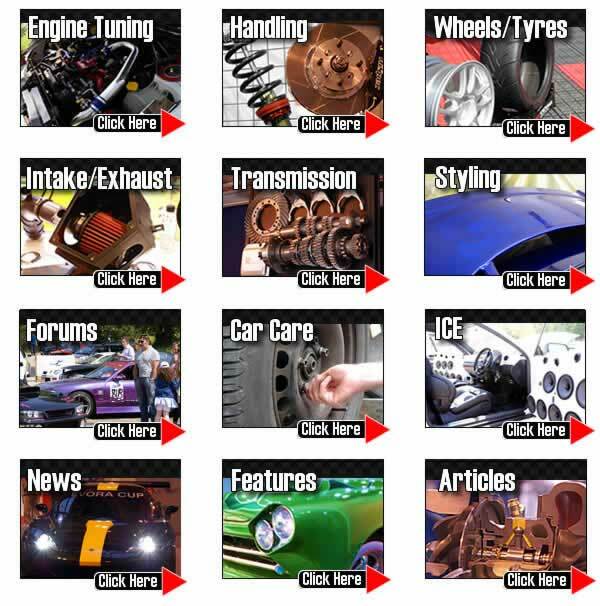 Scroll down the page to see our latest tuning articles for your TVR. Being able to change gear as quickly as possible can make a big difference in time critical situations like drag racing and even track day racing. The slowest component in any car is the driver and there is little that can be done to improve that. A quick shift kit will help to give you the competitive edge by enabling faster gear changes and allowing more ‘feel’ by reducing play. Modern engine computers (ECU’s) take over many of the controls of all aspects of engine management from timing to fuelling and more. As induction kits are probably one of the most popular modifications for car tuning projects we thought we should add a introductory article to explain what they are, what they do and the theory behind them. An induction kit is quite simply an air filter. Most cars have air filters mounted in an air box. These filters are generally constructed of paper which filters out the particles from the air and prevents these from getting into the engine. The airboxes are designed to reduce the noise of the engine and have various vanes and angles cut to maximise this noise reduction.